We are on day 4 of #CookoutWeek! I am just loving all the great recipes I am seeing from all the participating bloggers! Today, I am sharing my super easy and tasty Slow Cooker Baked Beans ! Thank you to True Made Foods™ for sending me their delicious Original Ketchup which is the base to my slow cooker baked beans! 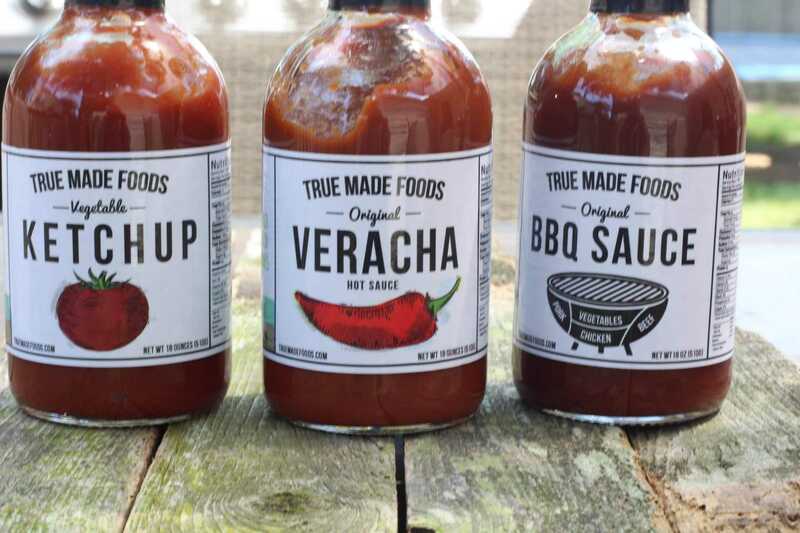 I talked about how much I love the products that True Made™ Foods make yesterday but I need to reiterate, they make awesome products!! They are non-GMO, gluten-free, and vegan. Their products are made with a base of veggies. That means they do not need to add as much sugar to their products because the veggies provide their natural sugars! I absolutely love how their ingredients are all natural. Just like their other products, True Made™ Ketchup is made with a base of spinach, squash, and carrots. I just love the taste of this ketchup! When I BBQ, I really like easy side dishes that I don’t have to fuss over preparing! That is why I love using the slow-cooker. 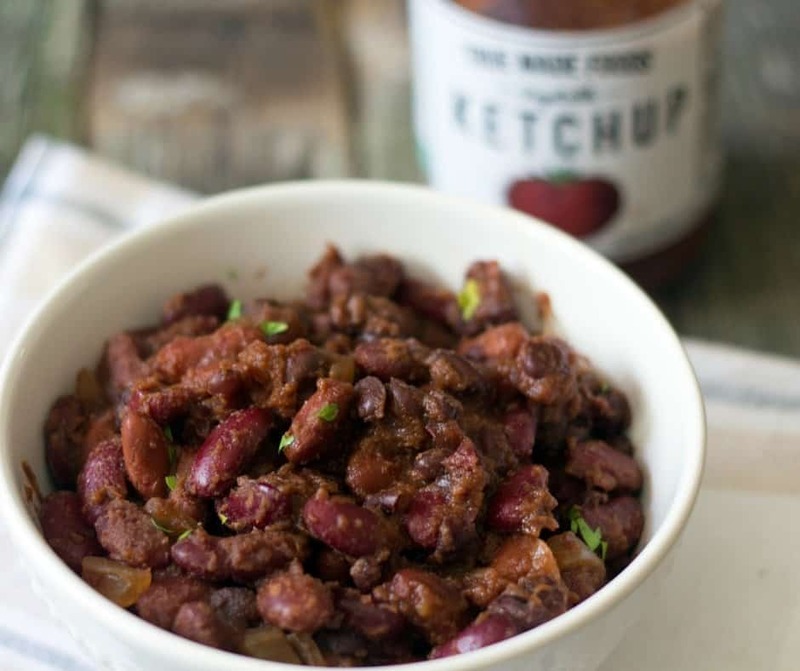 Slow cooker baked beans are one of my family favorites! These are so easy that any of my kids and yes, even the hubs can throw these ingredients into the slow cooker for me! 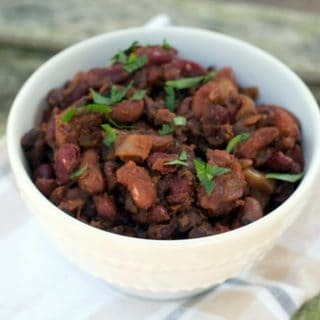 I speed up the process by using canned beans that I just rinse off and they taste just like the ones I soak overnight! This is one of those dishes you can set up the night before and keep in the fridge until ready to plug-in the slow cooker. Honestly, I have made this on a low and high temperature with the same results. 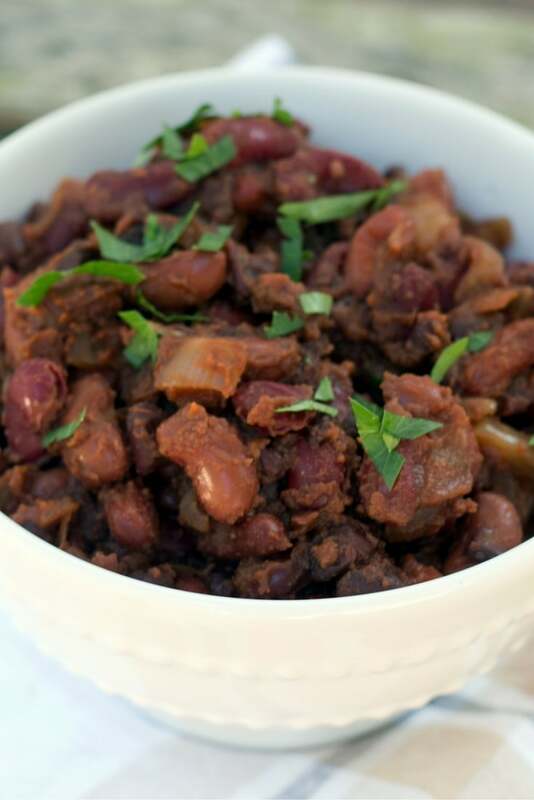 Today, I cooked these beans on high and in two hours, my Slow Cooker Baked Beans were ready! SHARE YOUR PICTURES OF ANY OF MY RECIPES ON INSTAGRAM! USE #everydayeileen! I LOVE TO SEE AND SHARE YOUR PHOTOS ON INSTAGRAM!! SAVE THIS RECIPE TO YOUR FAVORITE PINTEREST BOARDS! I HOPE YOU FOLLOW ME ON PINTEREST! I’M ALWAYS PINNING FROM TALENTED AND AMAZING BLOGGERS! SUBSCRIBE TO MY NEWSLETTER TO NEVER MISS A RECIPE! In a slow cooker, add chopped onion, ketchup, cider vinegar, dark brown sugar, molasses,spicy brown mustard, Worcestershire sauce, salt and pepper to taste. Add the drained black beans, dark red kidney beans, and light red kidney beans, salt and pepper to taste. Adjust seasonings, if needed. use vegan Worcestershire, to keep the recipe Vegan. Any nutritional data I provide is an approximation and actually dietary information can vary based on ingredients and proportion size. What are your favorite sides when you BBQ? I really hope you make and enjoy this recipe, and if so, please share the love on Facebook, Pinterest, or your favorite way of relating to your friends and family, and please continue connecting with me on Instagram, Pinterest, Twitter, Bloglovin, Google Plus ! #everydayeileen so I can see your creations! I am happy you enjoyed the beans Sandra!